Elfsight Weebly contact us form app has everything you may need for collecting impressions and enquiries from users of your website. 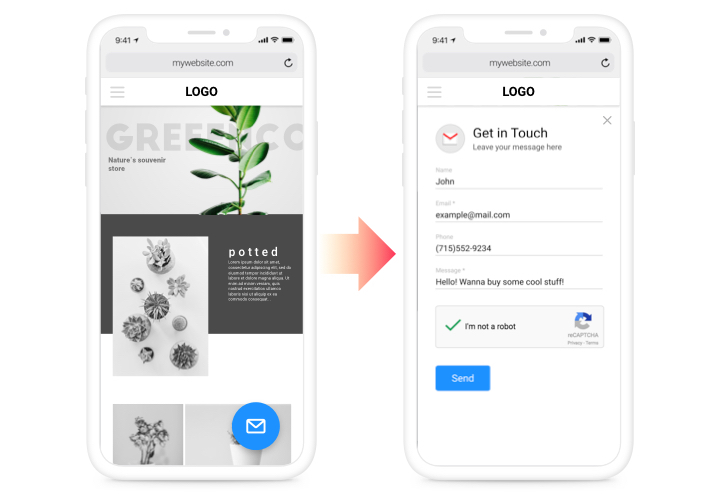 Install the additional fields for filling, adjust the desired template and customizethe interface, to inspire your clients even more to send their impressions about your services or company. 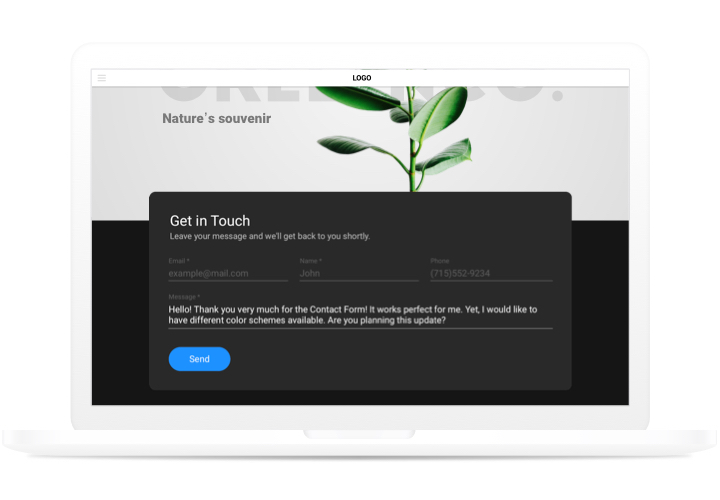 Collect users’ impressions, get orders and answer questions of the users of your site! Raise the number of requests from the site. Solve all problems, fight distrust to your business, and don’t allow visitors to leave the website. Use our handy instrument to have fruitful dialogue with clients. Requests, doubts, misconceptions, and all other impressions of your customers about your goods or services are a good way to realize the wishes of your website clients and smartly apply a plan of company growth. Save your mailbox from bots. Don’t allow bot messages in your electronic mailbox. 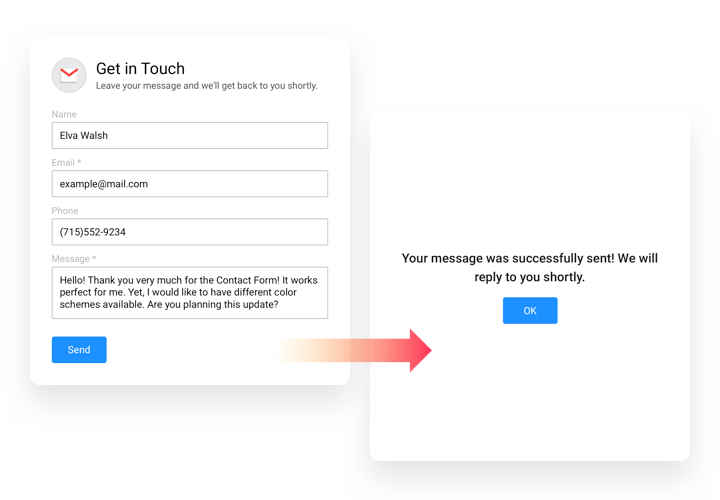 Elfsight form includes Google reCAPTCHA to save your mail from automatic spamming and bots. 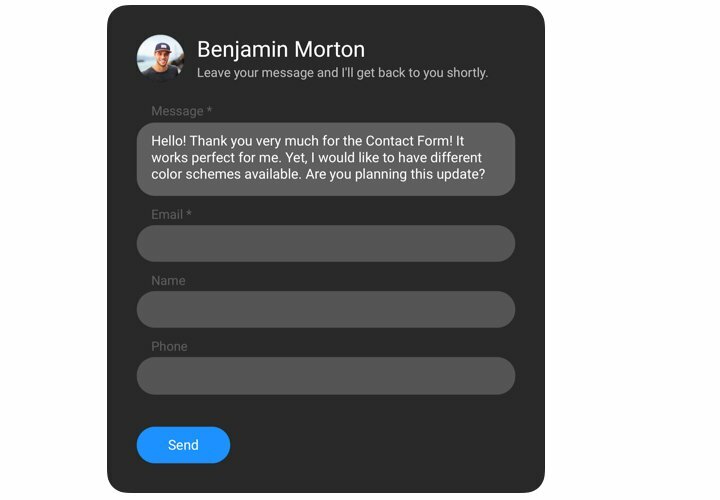 Study our guide, to integrate contact app to your website easily and in no time. It’ not necessary to have skills in web programming and total setup time will not take more than near 80 seconds. Add the widget clicking «ADD» button on the page with Elfsight Form in Weebly App Center. Install Form widget on the website. In the builder of Weebly, drag the widget unit to the page. Following the embedding of the widget, press the widget icon to change the key options. Publish all the results. Enter your site, to see your Form! Have you experienced any issues while applying the guide or generating your form? 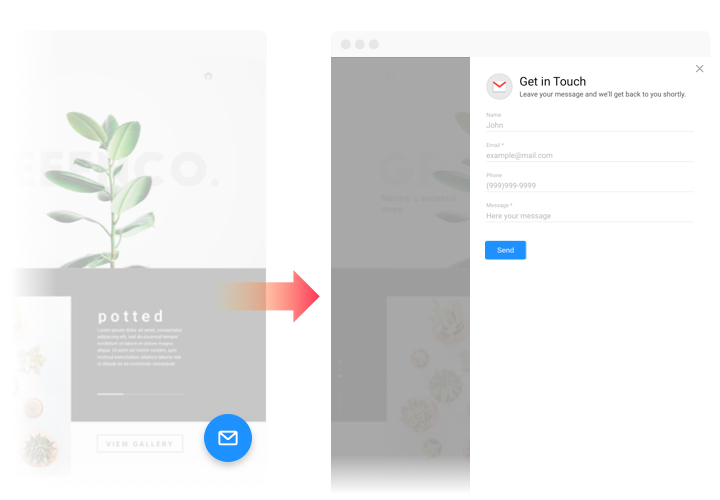 It may be useful to read a detailed manual «How to insert Contact form into a Weebly website» and give a try to embed it one more time by yourself. Alternatively, you can leave your enquiry to our help center with thorough explanation of your question, and our team will do their best to help. 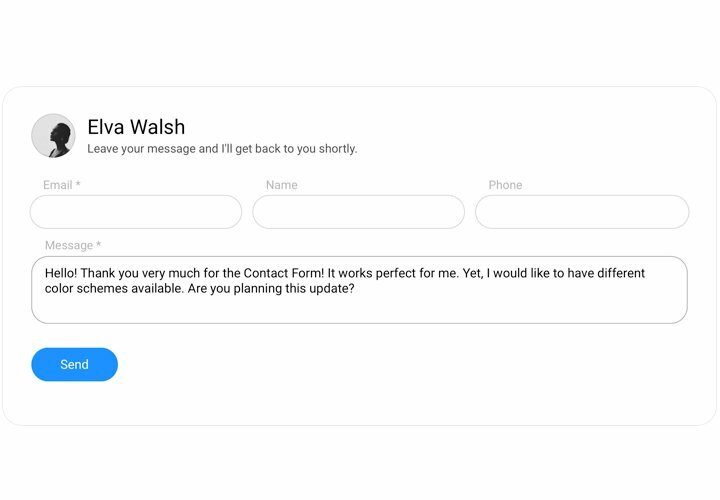 Try Weebly Contact Form absolutely free!